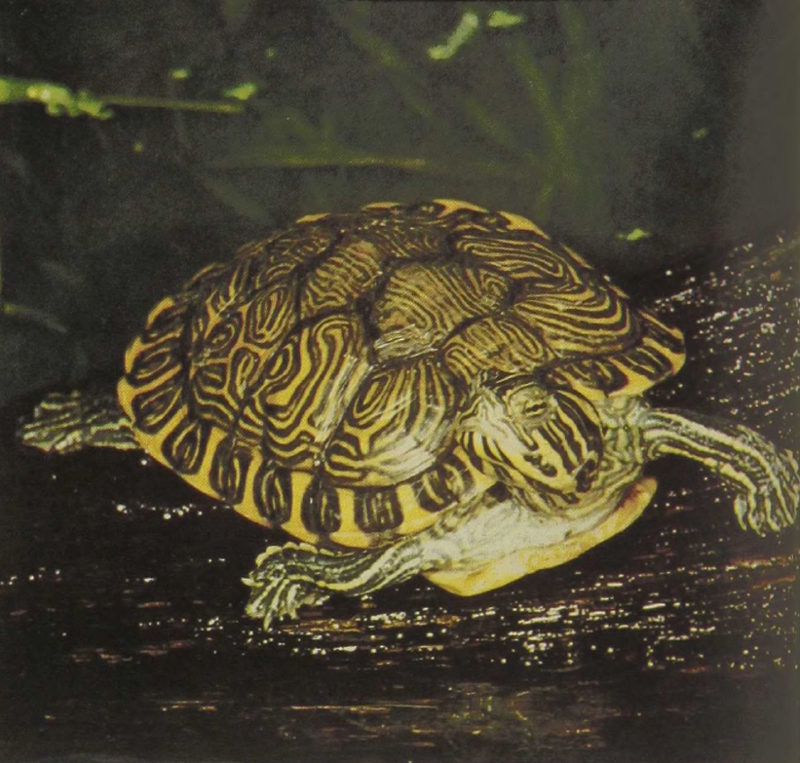 The Slider turtles occur across the Americas from the United States south to Argentina, Most Terrapins are medium-sized, greenish animals with patterns of yellow, green, and sometimes red lines radiating along the sides of the head. 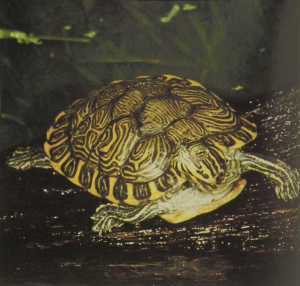 They are the pond and river turtles that one often sees basking on logs and stumps along rivers, ponds, and irrigation canals. The basking probably helps them to dry out and control the aquatic parasites that attach to the shell and lets them utilize the ultraviolet light from the sun to produce compounds necessary for bone deposition. Equally important, these turtles thus can raise their body temperature to a level at which digestion and other processes proceed more efficiently. Young Terrapins are often very pretty and, consequently, nests are robbed all over the range and the hatchlings sold as living toys. Deplorably, most such pets die of food deficiencies long before they mature.